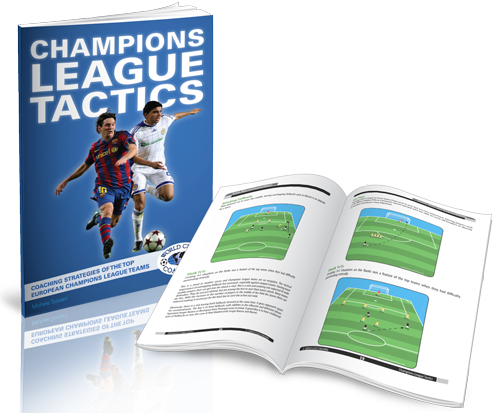 Soccer Tactics: E-Book "Champions League Tactics"
Finally, it’s here! Your guide to the best teams competing in Europe. Champions League Tactics combines UEFA stats, insightful quotes and an in-depth analysis of Europe’s top coaches performing at the peak of their game. Only the very best teams in Europe can compete in The Champions League, and this book outlines the characteristics and tendencies of some of Europe’s greatest sides and how they compete to outwit each other to claim the coveted trophy. There is arguably no bigger competition in world club football than The Champions League. In this revered contest, Europe’s smartest tactical minds do battle to leverage every strategic advantage in their favor. It’s a competition in which different cultural approaches, systems and formations all meet on the soccer field to decide which is the best, and the outcome is far from predictable. In this special book, Champions League Tactics, author Michele Tossani provides an in-depth look at the tactical wizardry of some of the best coaches and clubs in Europe. This includes a detailed analysis of Barcelona’s evolution into one of Europe’s most dominant teams; Jurgen Klinsmann’s ‘experiment’ in harnessing the latest scientific approaches to transform Bayern Munich’s player development strategy and how Liverpool manager Rafa Benitez outwitted Milan to claim The Champions League title in 2005. Whether you’re a student of the game or a coach training players at the highest level, Champions League Tactics will enable you to gain valuable insights from some of Europe’s greatest tactical minds you can use to improve your own formations, strategies and understanding of the game. Watching the collision of the defensive and cautious style of Italian teams like AC Milan and Inter against the Latin influenced passing and movement of Spain’s top club sides is a fascinating spectacle. But with the constant changes in camera angle, it can be difficult to analyze in detail the tactical battle that’s also taking place between the two managers. This is why Champions League Tactics is an invaluable companion when studying the tactics, styles of play and methods of the best coaches in Europe. You will be able to pick up valuable insights on the ‘tika taka’ style of football utilized by Juande Ramos at Real Madrid to devastating effect; how Arsene Wenger revolutionized English soccer when he brought is short passing style across the English Channel and much more. This book is packed to the gills with valuable nuggets of information and insights into the tactical geniuses coaching Europe’s top sides. Its in-depth analysis of European soccer’s formations and strategies can be used to improve your own tactical awareness and to improve your team’s coaching and performance on match day. Observations of National Qualities – This chapter looks at the typical features of teams depending on their country of origin. The Italians, for example, are known for being cautious about sending numbers forward, whereas English teams are known for their aggressive style of play. Tactics Roles and Responsibilities – How do teams compare and contrast in their use of a specialised central midfielder? Do most teams now use overlapping fullbacks to stretch the opponent’s midfield? These questions and more are answered in this chapter. Characteristics of English Teams – From the overall summaries of the opening chapter, the book now analyses the characteristics of individual teams in each country. For England, this includes an analysis of how Carlo Ancelloti transferred the system he used at AC Milan to Chelsea and how Arsene Wenger transformed Arsenal from long ball specialists into playing a short, tight passing style to great effect. Characteristics of Spanish Teams – Many Spanish teams mix the European defensive appraoch with the possession and passing style of Latin teams, such as Manuel Pellegrini’s Villareal side. 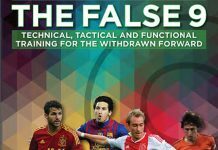 This chapter also analyses how Barcelona’s style of play has changed between that of Franck Rijkaard and Pepi Guardiola, who introduced Barcelona’s intricate passing triangles style. Characteristics of German Teams – This chapter looks at previous German international forward Jurgen Klinsmann’s revolutionary approach to player development at Bayern Munich. 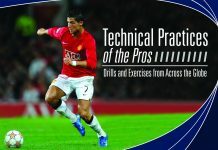 In addition, the book provides a series of drills used by Klinsmann to ‘make every player better every day’. This section also assesses the tactical use of talented Brazilian forward Diego behind the attackers at Werder Bremen. Characteristics of French Teams – While the national team may still be struggling to regain its former glories since winning the World Cup in 1998, France’s club teams continue to make an impact in the European Champions League. The book profiles the defensive approach of Olympique Lyon and the diamond midfield of Marseille. Winds of Change in the East – In this chapter author Michele Tossani assesses the rise of Ukranian and Russian teams since attracting foreign coaches to provide them with a new offensive attitude to overcome their technical deficiencies. The strategic approach and playing style of Zenith St Petersburg, Dynamo Kiev and other eastern European teams are placed under the spotlight. Conclusion – In the final chapter, Champions League Tactics analyses the persistent playing styles of Europe’s most successful teams and the impact of coaches on improving their tactics and methods. This chapter includes an analysis of Guus Hiddink’s impact on PSV Eindhoven’s playing style and that of Manuel Pellegrini at Real Madrid. 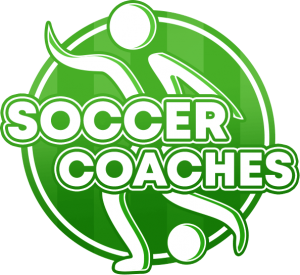 If you want to develop your understanding of the game and improve your tactical awareness then some of the best people to study are the soccer coaches competing in The Champions League, which is arguably the toughest soccer tournament around. 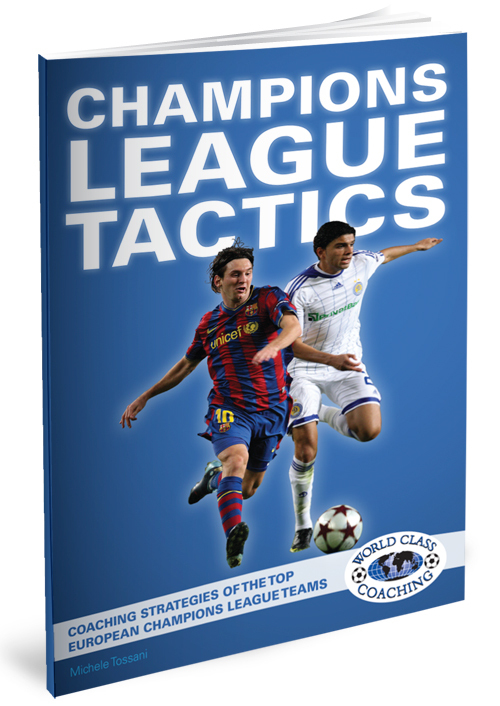 Whether you are a student of the game or an experienced coach training teams at the highest level,Champions League Tactics provides a fascinating analysis of how some of the world’s best coaches utilize tactics and formations to gain the upper hand. The European game is constantly evolving, with teams in most countries now comprising of a variety of nationalities, and this includes the team coach. 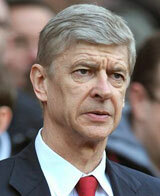 Foreign managers such as Arsene Wenger and Rafa Benitez have brought new styles of play and tactics that transformed the fortunes of Arsenal and Liverpool, respectively. 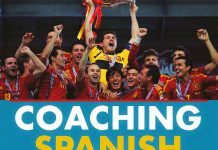 This special book examines their contributions and those of the many world class coaches competing in Europe. With its detailed diagrams and clear explanations, Champions League Tactics provides a comprehensive analysis of the ever changing and fascinating world of European soccer. 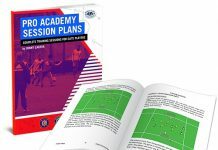 It will both enrich your understanding of the tactics, methods and styles of play being utilized in European soccer and give you valuable insights you can use to coach your team and replicate the tactics used by Europe’s greatest club sides.